Please meet the one and only marvelous MARCO our Kopy Kat Sanctuary cat of the month! MARCO is a gentle giant with crazy cow-kitty markings. He is approximately 2 years old, he was found wandering the streets of Verona, hungry and unneutered. Now that both of those problems are taken care of, MARCO can get down to the business of being your best buddy! He LOVES being petted and even getting belly rubs! MARCO is a total people person — he’s not crazy about the sanctuary dog nor the other cats. He might handle 1 or 2 quiet ones being around but he swats if they come too close. He’d prefer to be your one and only furrever cat and make some summer memories together. 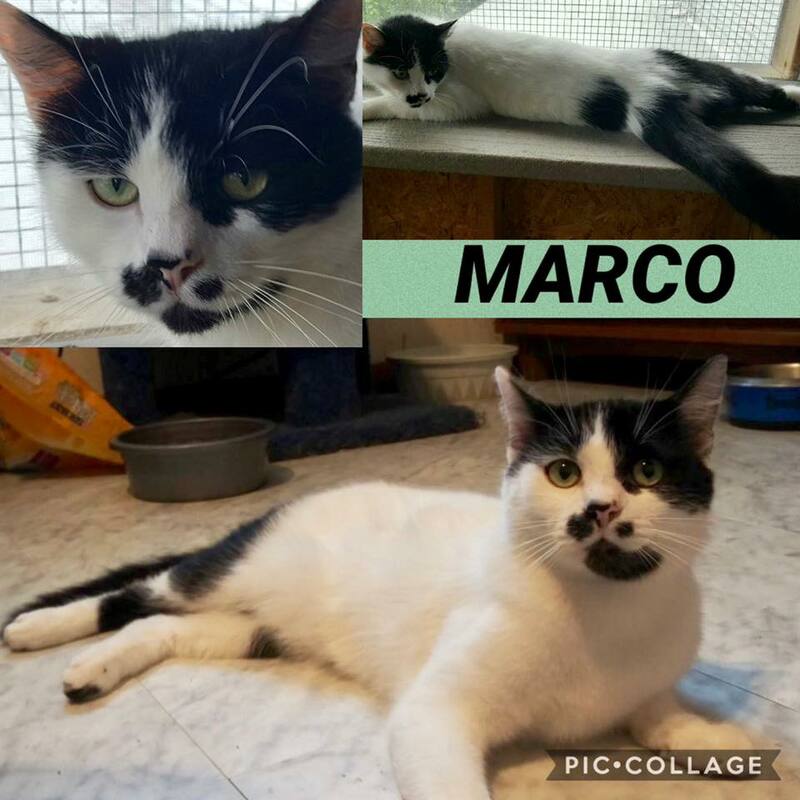 Marco is located at our sanctuary in Delmont, PA.
A completed application puts you at the front of the line to adopt. Please email kopykatsanctuary@yahoo.com with a completed adoption application or with any questions. You can get our application by clicking below. Looking for your new best friend? We have many adoptable cats waiting for their furever homes! Our adoption fee is $75 for all kittens and cats; every one of our animals is spayed/neutered, wormed, FIV/FeLV tested, flea treated, and current on all vaccines. They are negative for FIV and FeLV unless otherwise stated. Please check out our Facebook Page and our Petfinder page at the link below to see more adoptables. Please note, we are NOT accepting cats right now — we are at full capacity.